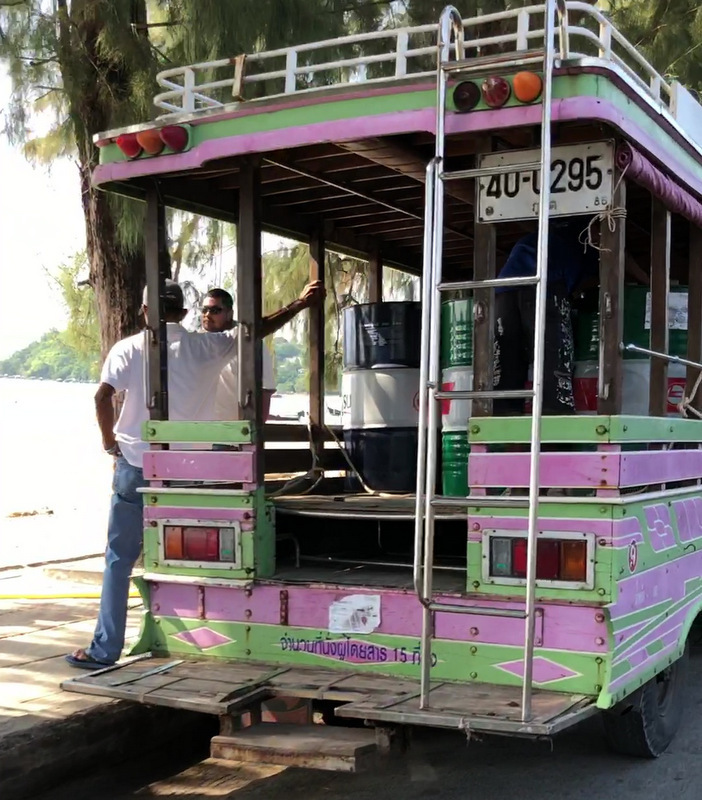 PHUKET: The Chief of the Phuket office of the Ministry of Energy, which responsible for the safe transport and dispensing of fuels across the island, has told The Phuket News that the ongoing refuelling of tour speedboats directly from steel drums in the back of ‘songthaew’ buses on the Rawai beachfront, is legal. 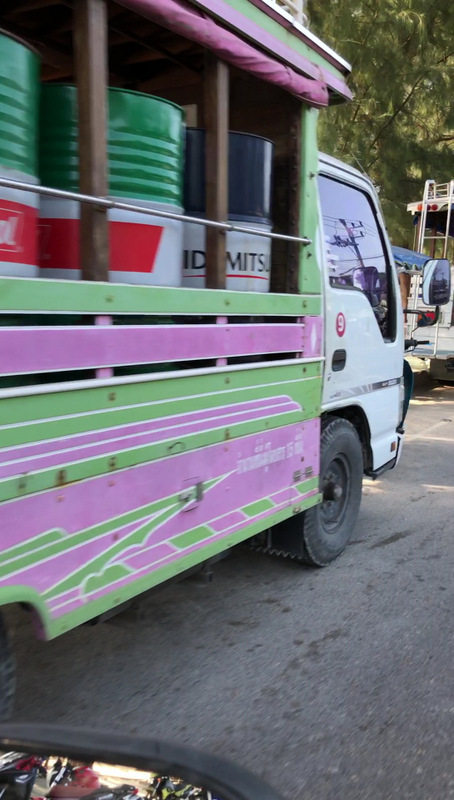 Wirot Damkong confirmed the news this week after being presented with photos and even a video showing the practice is ongoing – despite his confirmation last week that the driver of a properly constructed fuel truck had been arrested for ignoring an order and continuing to refuel speedboats on the Rawai beachfront. “Dispensing fuel directly from a fuel truck or from large plastic tanks or containers is illegal,” Mr Wirot said. He explained that, in terms of the law, it was an issue of volume. “The volume of each of the drums (seen in the photos and video) contains only 200 litres, but the truck can contain much more fuel, and hence and presents a much greater danger if it catches alight,” he said. 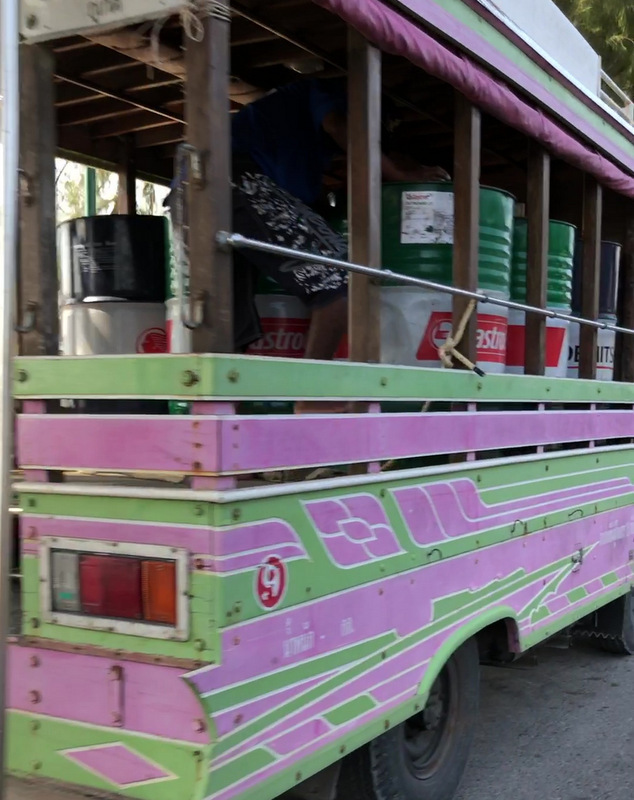 Asked how many drums of fuel is the limit, and especially in the back of a songthaew and restrained by a single rope, as seen in the video, Mr Wirot declined to answer. “We are looking into that,” he said. Regarding Mr Wikrom’s assurance last week that the driver of the fuel truck photographed repeatedly carrying out the beachfront refuelling despite an order to stop had been arrested (see story here), Mr Wikrom this week declined to comment. 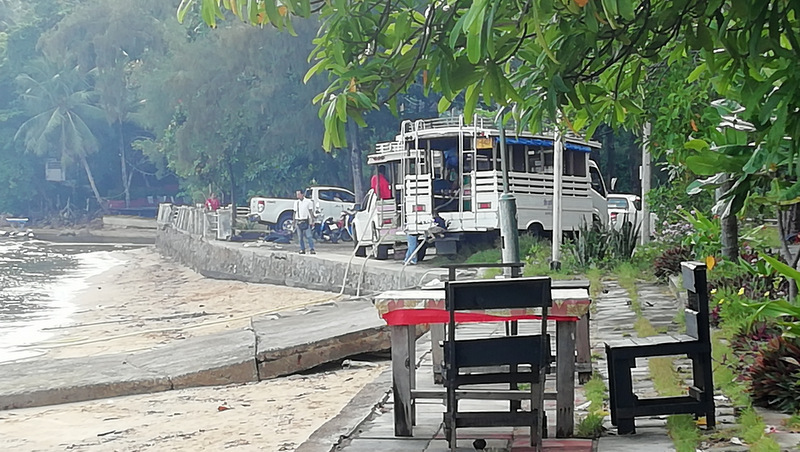 Meanwhile, Pannee Raknai, Chief Administrative Officer (Palad) and Chief of the Department of Disaster Prevention and Mitigation division at Rawai Municipality (DDPM-Rawai) has yet to respond to queries from The Phuket News this week about the ongoing practice. Ms Pannee has consistently claimed that her office is powerless over the issue unless there is an environmental concern, despite the obvious public safety issue involved. 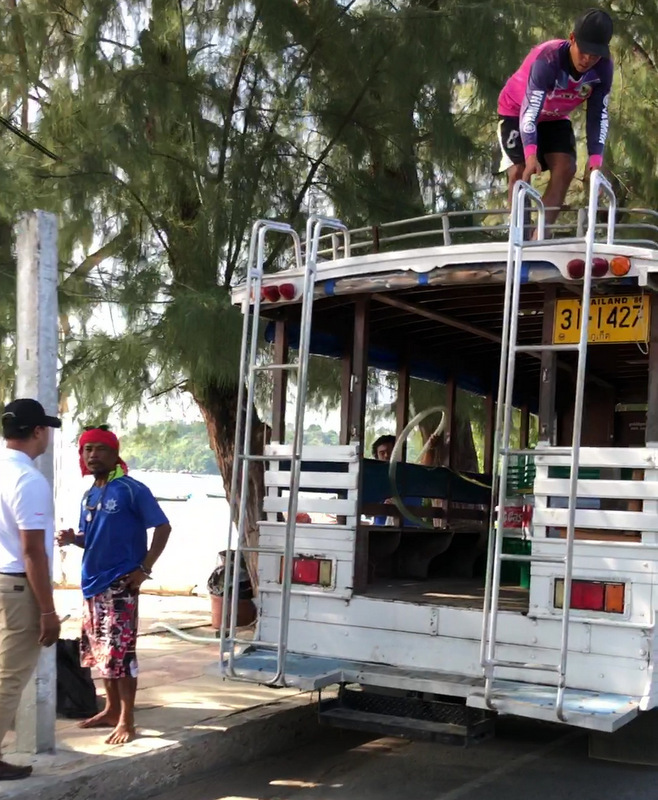 Rawai Mayor Aroon Solos this week did respond to questions from The Phuket News. “The Phuket Energy office has informed Rawai Municipality of this,” he said. 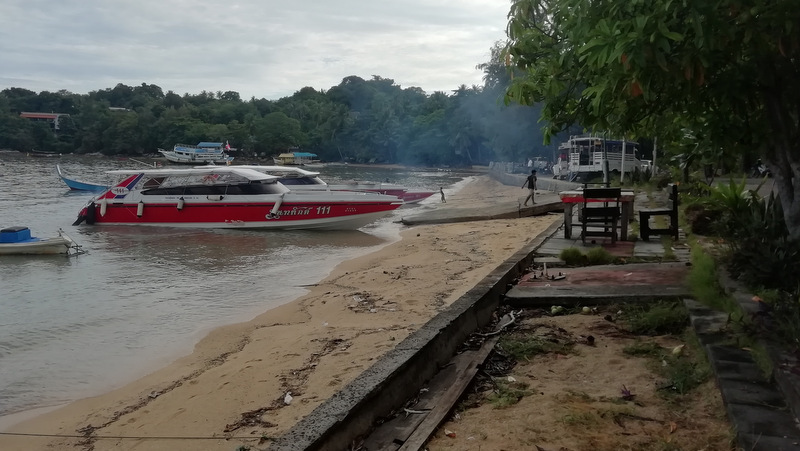 “We will stress to the refeulling operators to not refuel speedboats when there are tourists around,” Mayor Aroon noted. “I have informed them to use pickup trucks to make sure they are not carrying too many fuel drums at the same time until it is figured out how this can be done legally – and safely,” he added. So, it is still illegal! According Mayor Aroon:.." carry on, but not to many drums same time until we figured out how this can be done legally and safely"... In other words: Now it is not legal, and not safe! Not yet talking about environment pollution. Huh? Environment? What is that? We se what happen if the be a accident whit this songthawe whit 12 drums= 2400 liter gasoline a waiting. liquid petrol or gasoline does not burn. and if you dont like this "joke" why you are here?? 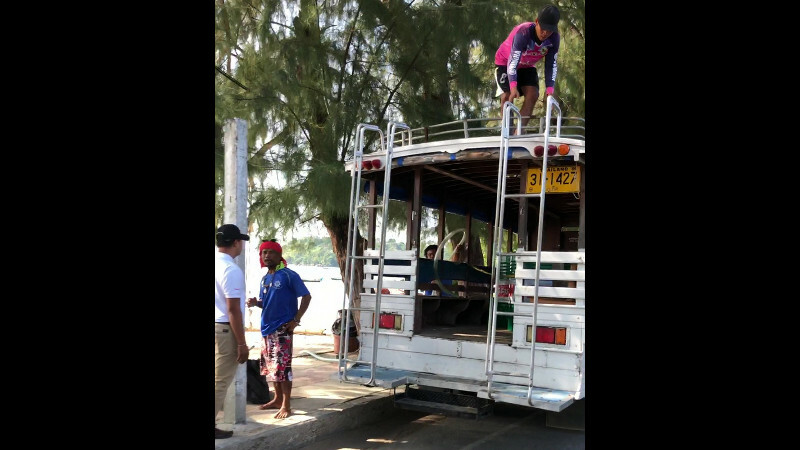 Wirot Damkong automatically determines that this is now legal, probably following the clarifications between fuelers and tour boat hacks where necessary fees were exchanged. This is a farce, and right in line with the way everything else happens here. Nothing to do with right and wrong...all about greasy palms...safety and the environment be damned. Farcical, bumbling adolescents making it up as they go along to protect their backhanders, refueling in this manner couldn't be more dangerous, especially petrol, one spark and kaboom! Or more harmful to the environment with inevitable spills, yet lock up the tourists who feed a fish or keep some dead coral, what a joke this place is. Drums are emptied from the top so theres no pressure like in a fuel truck. So you wont have a flame thrower if something goes wrong. Thats why drums are allowed. If they don't refuel in this manner, how will they be able to chop up more tourists with turning props? Is there any professional who knows or driving a old car with a fuel load steel drums is more safe that a licensed fuel truck with a trained/skilled driver? Are the drums not leaking, certified? Is the old car certified? Shifting the hose from drum to drum, perhaps by a smoking boy, that sounds really safe! Money in the pocket to some one in office of the Ministry of Energy in Phuket and higher up in the hierarchy. All these officials behave like the wings of a windmill....Can not...we look into it....decline comment...I don't know. Eureka! Now it can! For how much? Thai soap. Never mind how they refuel, I was under the belief it was illegal for them to refuel ON the beach.